For decades, traditional braces have been the only option for achieving a straighter smile. But things have changed as dentistry advances. Now there’s Invisalign. Invisalign uses clear, removable series of aligners to straighten your teeth in the most discreet way possible with no metal wires and brackets involved. 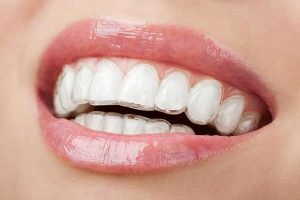 If you are a patient from Campbelltown looking for an attractive and comfortable alternative to metal, fixed braces, Invisalign can be a great option. Your dentist at A Plus Dental would love to discuss with you how Invisalign can work its benefits for your smile. Your dentist at A Plus Dental will take impressions or scans of your bite, which will be sent to the manufacturer of the Invisalign aligners. The aligners are created using three-dimensional computer generated imaging technology. Your dentist will create a virtual treatment plan in which you can see a projection of the result at the end of the treatment. This is done to let you see how your teeth will look after using Invisalign aligners. Once the aligners are fabricated, they will be sent to your dentist who will make sure the aligners provide the right fit and comfort. Invisalign aligners are made of clear and sturdy medical-grade plastic. They are worn night and day for two weeks. The aligner can be taken in and out of your mouth during meals and to brush or floss your teeth. The Invisalign treatment takes between 6 and 18 months, depending on how serious your bite and misalignment issues are. Good candidates have mild to moderate overbite, underbite, crossbite, crowded teeth, or gapped teeth. Invisalign is not suitable for severe issues. If you are 13 years or older. Invisalign is mostly suitable for adults even in their late 50’s or beyond. If you have the commitment to work for your straighter teeth. Invisalign requires wearing the aligners for a good portion of the day, daily until the treatment has been completed. Invisalign may not work well if you cannot commit to this routine. Do you have issues with the alignment of your teeth? 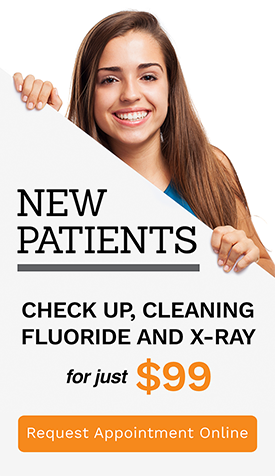 Speak to your dentist at A Plus Dental today. We offer several modern orthodontic treatments, such as Invisalign, to address a wide range of bite and misalignment problems. Whether you require a traditional brace or a clear Invisalign, we have the right solution for your smile. Visit A Plus Dental today for an obligation-free consultation.